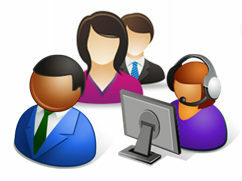 If you don’t already have an IT Staff Roster you maintain with a change management process, now is the time to create one. It takes just a few minutes. Pretty soon it will be budget time. When you develop an operating budget for next year, salary is usually the largest expense in an IT budget. If you have this simple IT Staff Roster, you will be able to knock out the salary part of the budget in a couple of minutes, , , not hours. I’ll show you how in my next post. Below is an IT Staff asset tool I use. 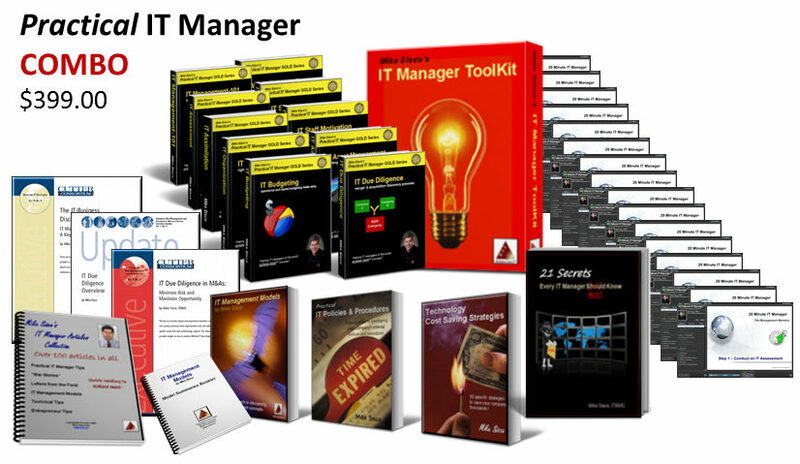 In order to be able to use it for budgeting purposes it has to be current and up to date so let me explain what I used to do as a CIO of a large company with hundreds of IT employees. 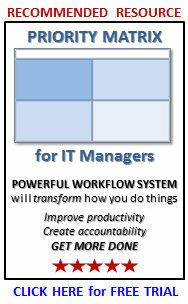 Put in a change management process to keep your IT staff information current. As a CIO, all employee paperwork comes across my desk, , , raises, new hire information, , , even termination paperwork. I approve the request and give the paperwork to my Administrative Assistant. She updates the spreadsheet you see above and it is in her Performance Plan to keep the information current and accurate, , , then she forwards the paperwork to Human Resources or Payroll. 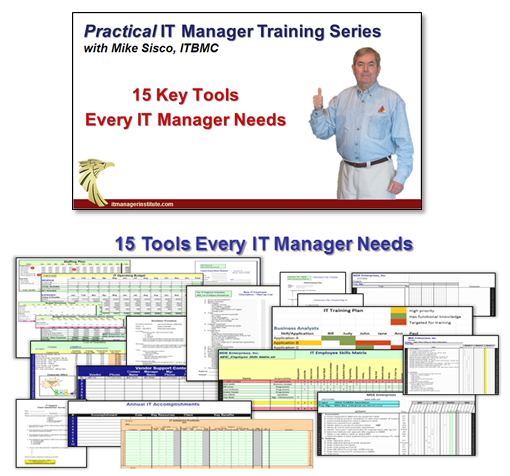 Keeping the tool current and up to date is simply a byproduct of our change management process, , , takes no extra time and saves me a lot of time when in the long run. When budget time rolls around, I take the IT Staff Roster and transfer the Name and the Salary columns to a budget worksheet, , , two minutes max. Bonus information is also maintained so I have what I need for the Bonus portion of the budget. When you have many offices to visit and hundreds of people in your organization, , , it helps to have this tool to remember names of people you don’t see that often, new employees you haven’t met, an employee reaching his 6th year in the company, etc. On your flight to their city, review it and you’ll avoid awkward moments and be viewed as an informed manager. This entry was posted in IT Manager Tools and tagged it assets, it employee plan, it employee roster, it staff roster, staffing plan. Bookmark the permalink.